I have been working on my active duty obligations heavily and have not been blogging recently, but I appeared on Drone Law Today on December 28, 2015. Thank you to Steve Hogan for hosting me and to Jonathan Rupprecht for putting us in touch. I hope you enjoy the podcast and take away some good information! Click on the icon above to download the podcast so you can learn about export law as it applies to UAS! 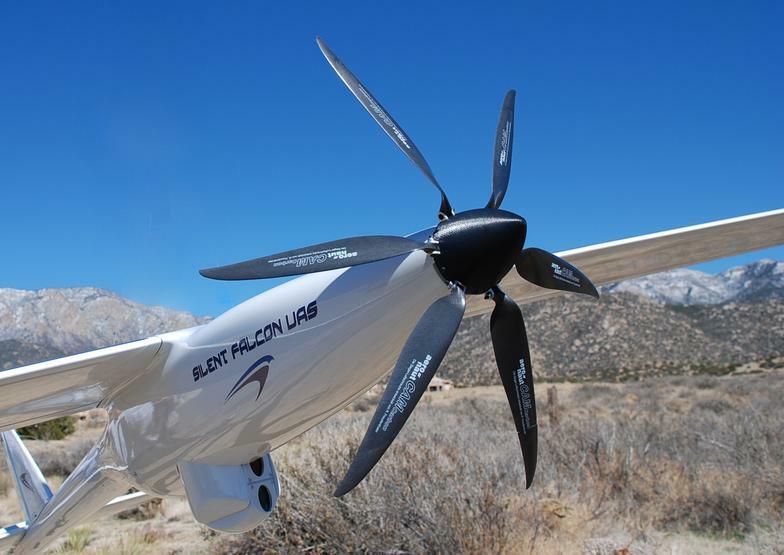 Silent Falcon UAS Technologies (SFUAS) announced last week that its Silent Falcon UAS is entering “low-rate commercial production” to fill its first commercial orders. 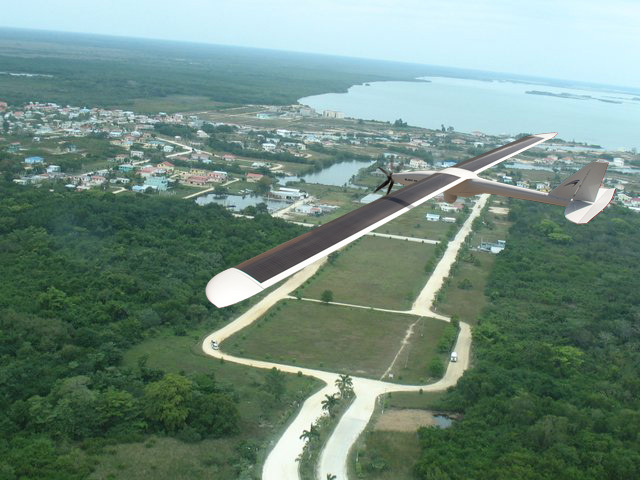 This is the first solar-powered UAS to enter such a developmental phase. SFUAS is a former subsidiary of Bye Aerospace, Inc., which formed the company in 2010. The 30 lb hybrid aircraft has interchangeable wings, which will allow users to customize it to a given civilian or military application. The design allows for an endurance of over 8 hours! More detailed specifications are available here. SFUAS is based in Albuquerque, New Mexico and its former parent is based in Denver, Colorado. 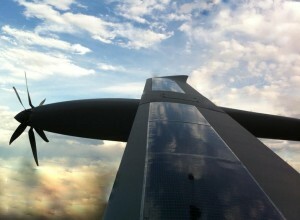 Bye Aerospace was formed in 2007 to apply clean energy to aviation applications. Ascent Solar Technologies Inc. was selected to aid in the solar cell development aspects of the project. Ascent gave a presentation to investors on March 16, 2015, which addresses Ascent’s various products and specifically addresses UAS on pages 16-20. San Diego Gas & Electric Company received a 333 exemption from the FAA on March 26, 2015 that allows it to use an InstantEye Mk-2 Gen2 to to conduct aerial inspections of its electric and gas facilities, including emergency response damage assessments throughout its service territory. This follows a Special Airworthiness Certificate that was granted to SDG&E in July 2014, which allowed the company to research and test potential uses for UAS. 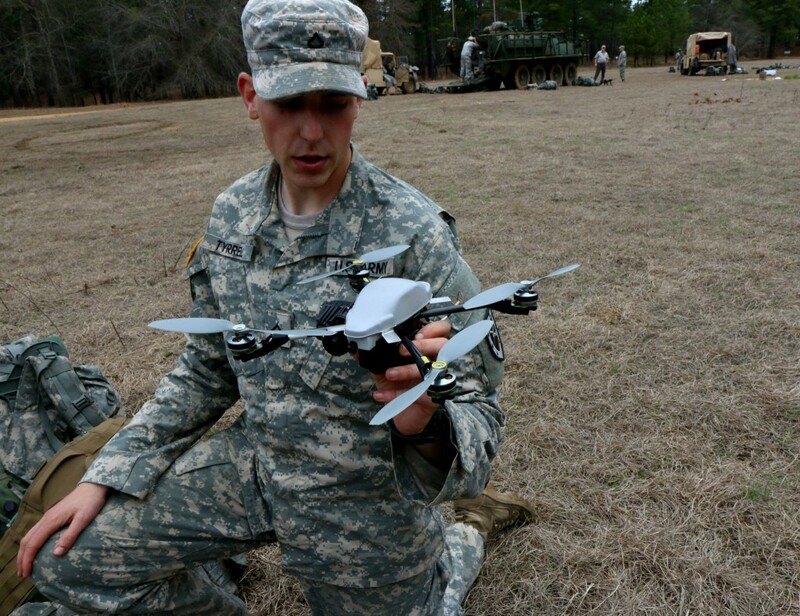 Now they have been authorized to use UAS in day-to-day operations! The InstantEye is small UAS that can carry various advanced imaging payloads. It was developed and is produced by Physical Sciences, Inc. in Andover, Mass. Here is a link to videos, including one about the InstantEye. A military application of the InstantEye Mk-2 Gen3 , from the Army’s Facebook page. Operations authorized by this grant of exemption are limited to the InstantEye Mk-2 Gen2 when weighing less than 55 pounds including payload. Proposed operations of any other aircraft will require a new petition or a petition to amend this exemption. Operations for the purpose of closed-set motion picture and television filming are not permitted. The UA may not be operated at a speed exceeding 87 knots (100 miles per hour). The exemption holder may use either groundspeed or calibrated airspeed to determine compliance with the 87 knot speed restriction. In no case will the UA be operated at airspeeds greater than the maximum UA operating airspeed recommended by the aircraft manufacturer. All operations must utilize a visual observer (VO). The UA must be operated within the visual line of sight (VLOS) of the PIC and VO at all times. The VO may be used to satisfy the VLOS requirement as long as the PIC always maintains VLOS capability. The VO and PIC must be able to communicate verbally at all times; electronic messaging or texting is not permitted during flight operations. The PIC must be designated before the flight and cannot transfer his or her designation for the duration of the flight. The PIC must ensure that the VO can perform the duties required of the VO. This exemption and all documents needed to operate the UAS and conduct its operations in accordance with the conditions and limitations stated in this grant of exemption, are hereinafter referred to as the operating documents. The operating documents must be accessible during UAS operations and made available to the Administrator upon request. If a discrepancy exists between the conditions and limitations in this exemption and the procedures outlined in the operating documents, the conditions and limitations herein take precedence and must be followed. Otherwise, the operator must follow the procedures as outlined in its operating documents. The operator may update or revise its operating documents. It is the operator’s responsibility to track such revisions and present updated and revised documents to the Administrator or any law enforcement official upon request. The operator must also present updated and revised documents if it petitions for extension or amendment to this grant of exemption. If the operator determines that any update or revision would affect the basis upon which the FAA granted this exemption, then the operator must petition for an amendment to its grant of exemption. The FAA’s UAS Integration Office (AFS-80) may be contacted if questions arise regarding updates or revisions to the operating documents. Any UAS that has undergone maintenance or alterations that affect the UAS operation or flight characteristics, e.g. replacement of a flight critical component, must undergo a functional test flight prior to conducting further operations under this exemption. Functional test flights may only be conducted by a PIC with a VO and must remain at least 500 feet from other people. The functional test flight must be conducted in such a manner so as to not pose an undue hazard to persons and property. The operator must follow the UAS manufacturer’s maintenance, overhaul, replacement, inspection, and life limit requirements for the aircraft and aircraft components. Each UAS operated under this exemption must comply with all manufacturer safety bulletins. 14 CFR § 61.56 in an aircraft in which the PIC is rated on his or her pilot certificate. The operator may not permit any PIC to operate unless the PIC demonstrates the ability to safely operate the UAS in a manner consistent with how the UAS will be operated under this exemption, including evasive and emergency maneuvers and maintaining appropriate distances from persons, vessels, vehicles and structures. PIC qualification flight hours and currency must be logged in a manner consistent with 14 CFR § 61.51(b). Flights for the purposes of training the operator’s PICs and VOs (training, proficiency, and experience-building) and determining the PIC’s ability to safely operate the UAS in a manner consistent with how the UAS will be operated under this exemption are permitted under the terms of this exemption. However, training operations may only be conducted during dedicated training sessions. During training, proficiency, and experience-building flights, all persons not essential for flight operations are considered nonparticipants, and the PIC must operate the UA with appropriate distance from nonparticipants in accordance with 14 CFR § 91.119. The UA may not operate within 5 nautical miles of an airport reference point (ARP) as denoted in the current FAA Airport/Facility Directory (AFD) or for airports not denoted with an ARP, the center of the airport symbol as denoted on the current FAA- published aeronautical chart, unless a letter of agreement with that airport’s management is obtained or otherwise permitted by a COA issued to the exemption holder. The letter of agreement with the airport management must be made available to the Administrator or any law enforcement official upon request. If the UAS loses communications or loses its GPS signal, the UA must return to a pre- determined location within the private or controlled-access property. The PIC must abort the flight in the event of unpredicted obstacles or emergencies. Air Traffic Organization (ATO) Certificate of Waiver or Authorization (COA). All operations shall be conducted in accordance with an ATO-issued COA. The exemption holder may apply for a new or amended COA if it intends to conduct operations that cannot be conducted under the terms of the attached COA. All aircraft operated in accordance with this exemption must be identified by serial number, registered in accordance with 14 CFR part 47, and have identification (N- Number) markings in accordance with 14 CFR part 45, Subpart C. Markings must be as large as practicable. The owner/controller of any vessels, vehicles or structures has granted permission for operating closer to those objects and the PIC has made a safety assessment of the risk of operating closer to those objects and determined that it does not present an undue hazard. The PIC, VO, operator trainees or essential persons are not considered nonparticipating persons under this exemption. All operations shall be conducted over private or controlled-access property with permission from the property owner/controller or authorized representative. Permission from property owner/controller or authorized representative will be obtained for each flight to be conducted. Any incident, accident, or flight operation that transgresses the lateral or vertical boundaries of the operational area as defined by the applicable COA must be reported to the FAA’s UAS Integration Office (AFS-80) within 24 hours. Accidents must be reported to the National Transportation Safety Board (NTSB) per instructions contained on the NTSB Web site: www.ntsb.gov. It might sound good, but it is not. There have been numerous data breaches over the last few years from Sony to Target to the Pentagon’s Joint Staff. It can be very costly too, both in terms of lost business and legal costs. Most policies do not explicitly cover cyber liability. Recent court cases show how aggressively insurance companies are looking at policies to find exclusions for coverage if one has a cyber event. General business policies cover the company if an employee steals the information and posts it, but don’t account for a third-party posting it. There are also new recommended exclusions that have hit the insurance market, so you are likely to find new policies are affirmatively excluding cyber coverage. It’s still available, but as a separate policy! Make sure to read the fine print if you are up for a new or renewed policy, and talk to your agent and/or attorney if you have questions. Not only can you get cyber insurance, but look at products to encrypt and protect your data. Persistent Systems and their Wave Relay technology was at AUVSI last year and they are a good example of high-level communications. This isn’t what you find on a DJI Phantom, though. There are downsides to this – the more heavily encrypted a communications system is, the more expensive it is. You also run a greater risk of it being ITAR or EAR controlled. Hartford Cas. Ins. Co. v. Corcino & Assocs., 2013 WL 5687527 (C.D. Cal. Oct. 7, 2013).